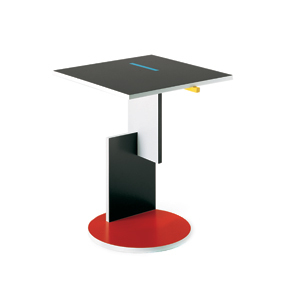 Lacquered wooden Schroder table, with red, blue, yellow, white and black paint. (1888 - 1964) Born in Utrecht in the Netherlands in 1988. After working in his father's joinery business, he apprenticed at a jewelry studio. In 1911 he started his own cabinet-making firm, which he maintained for eight years. Through his studies he became acquainted with several founders of De Stigl. 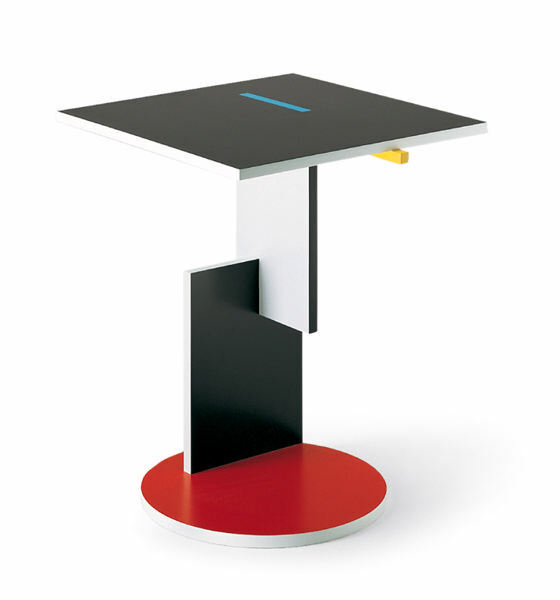 In 1917 Rietveld designed the Red Blue Chair, which signaled a radical change in architectural theory. 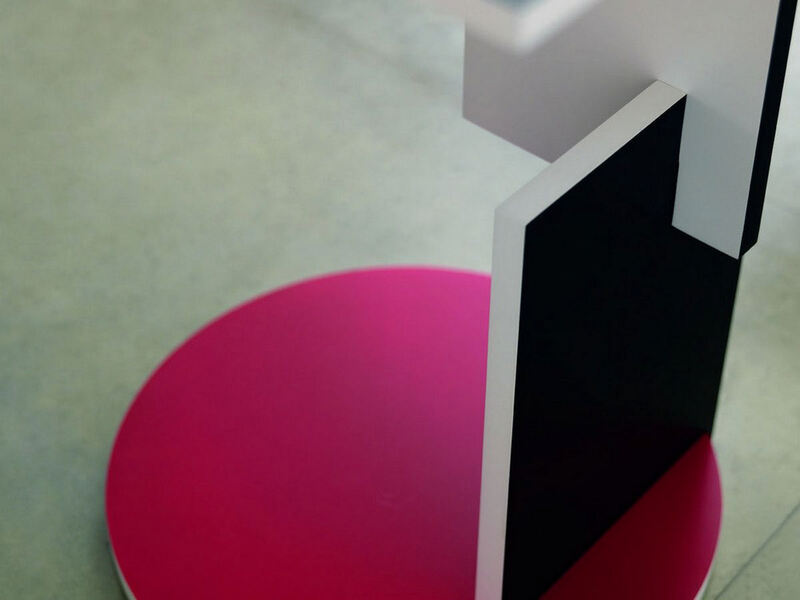 His unusual furniture designs led to several housing commissions, which he invariably designed in a Neo-plastic style.